Juggling rings offer a great stepping stone between balls and clubs. A little bit more of a challenge than balls but easier to use than clubs you can also perform unique tricks with rings that simply wouldn't work with any other prop. We stock a great range of rings including glow in the dark and LED juggling rings. Another advantage to rings is that they're light weight and thin, this means they're great for numbers juggling. 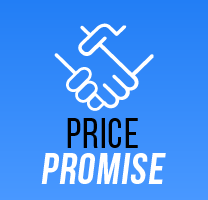 If you're looking for the perfect prop for your performance or something to add to your range of juggling equipment rings are a perfect affordable addition!